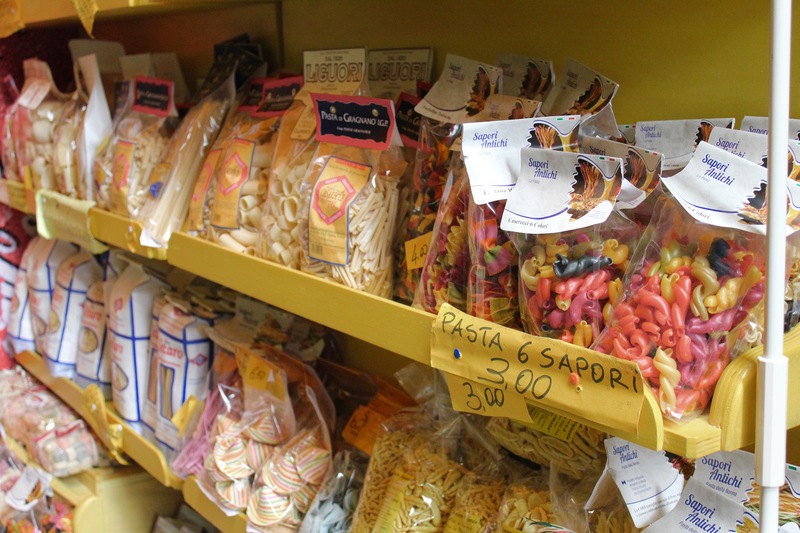 When one visits Naples, Italy, there are so many choices of sights to see and things to do. 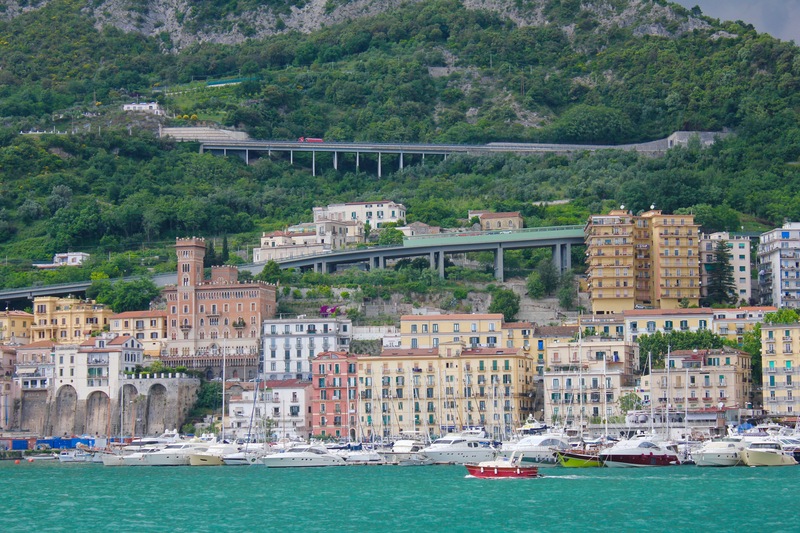 Naples itself is a busy, port city. 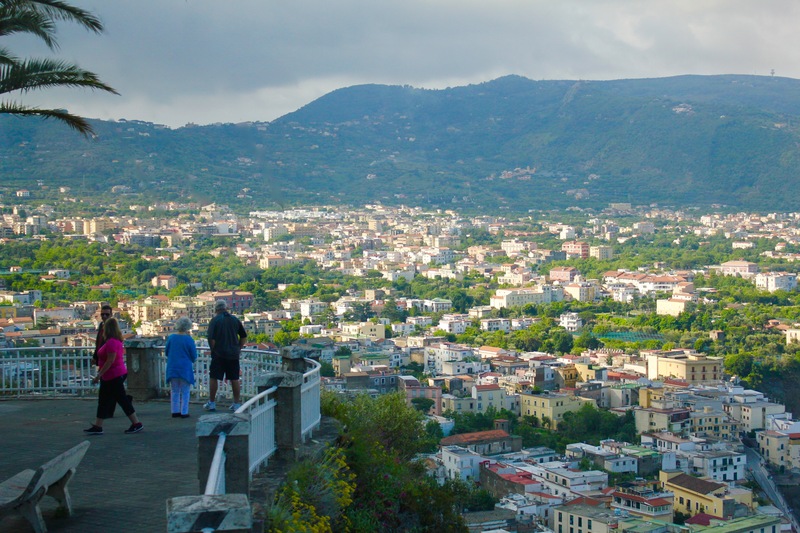 There is a castle overlooking the harbor that is neat to see, but a claim to fame that Naples has (at least for us Americans) is that Naples is the home of where pizza was invented! 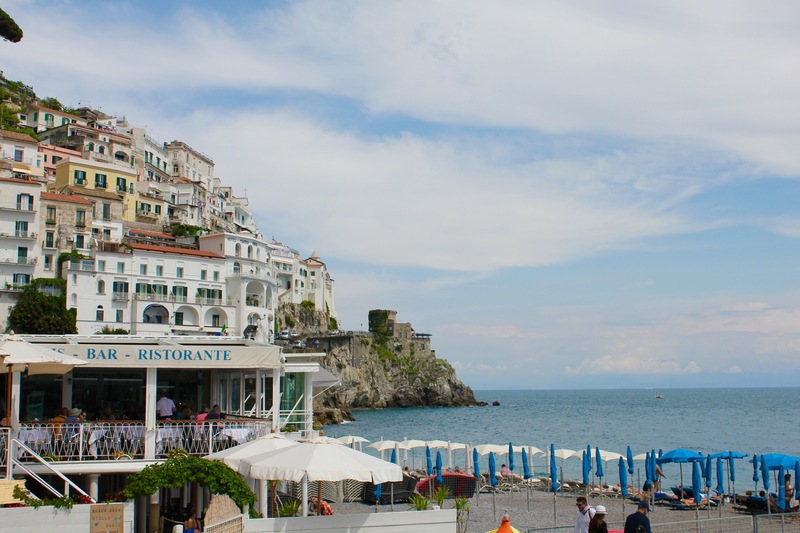 So, if you are a foodie, or just love pizza (who doesn’t), then Naples is for you. But, just don’t stop there in Naples, as there so many choices of fantastic places to visit around Naples, it can be hard to choose. 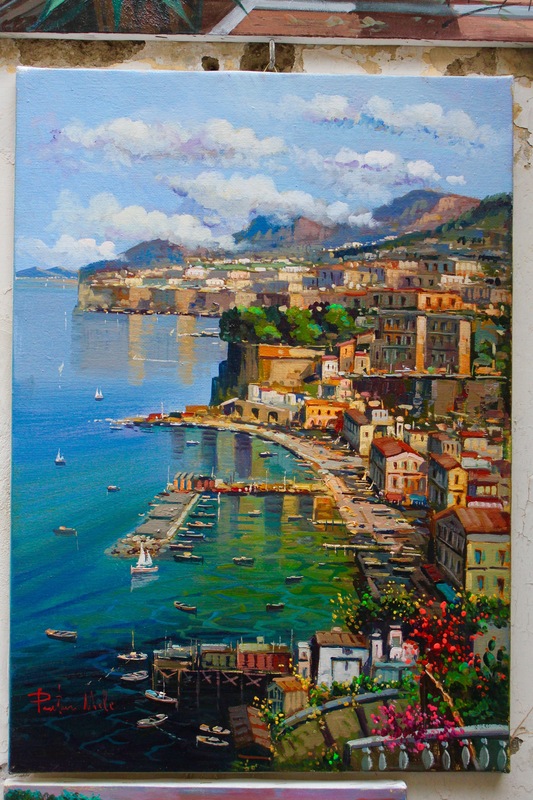 Our ship docked in Naples, and from Naples we drove to the city of Sorrento with its shopping and scenic vistas of the Meditterranean Sea that were wonderful. 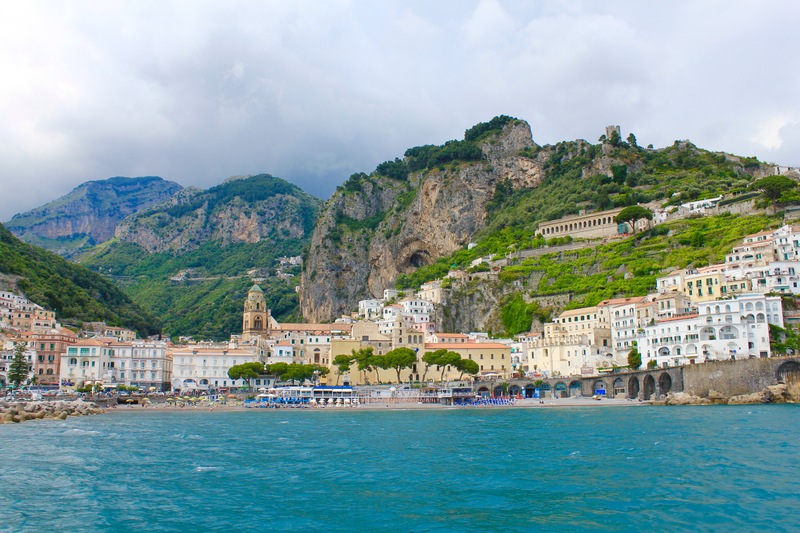 Leaving Sorrento, we drove along the Amalfi Coast to the village of Amalfi, and then from here we took a small boat tour between the seaside towns of Amalfi to Salerno. 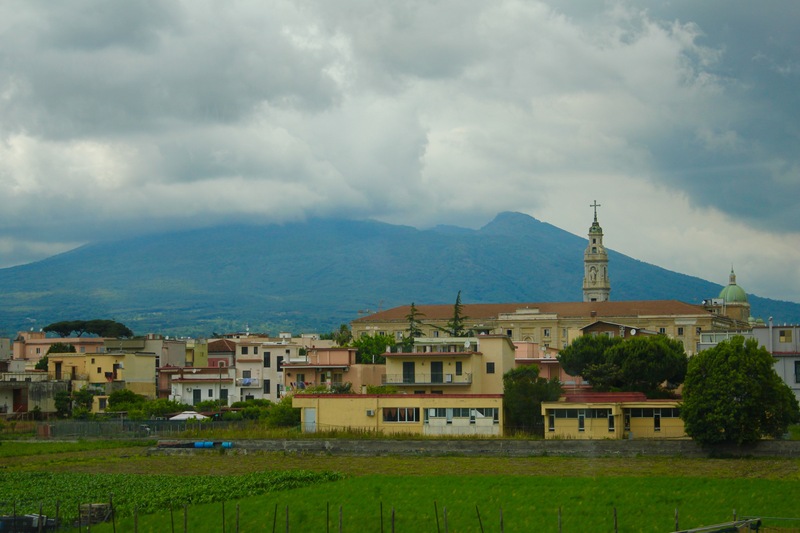 Other places to visit while in Naples are the sites of Pompeii and Herculaneum, two cities destroyed and covered by ash from the eruption of Mt. Vesuvius in 79AD. Pompeii is interesting to see, but one should note that the majority of relics from Pompeii have been moved to the museum in Naples. 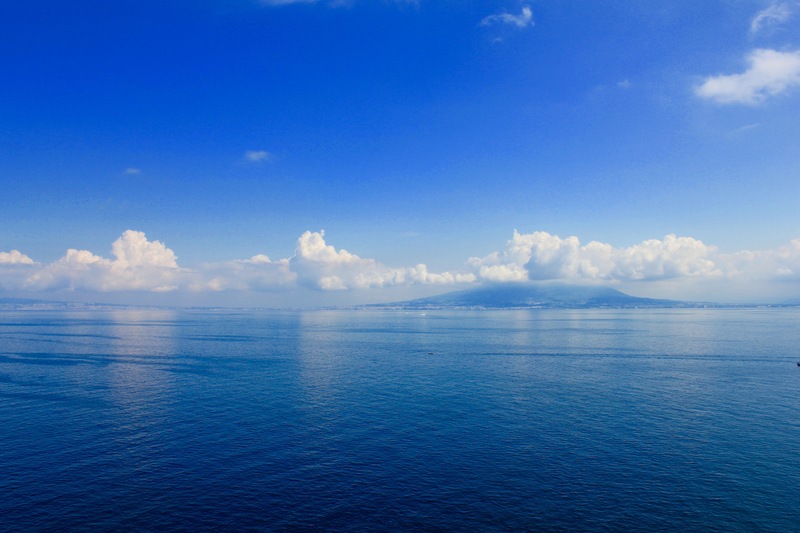 Just outside of Naples is a looming site…the volcano of Mount Vesuvius, the volcano that erupted in 79AD and buried the surrounding including the city of Pompeii. The top is blocked by clouds, but it is still an active volcano, and considered one of the most dangerous in Europe, because there are now 3 million people in the vicinity. 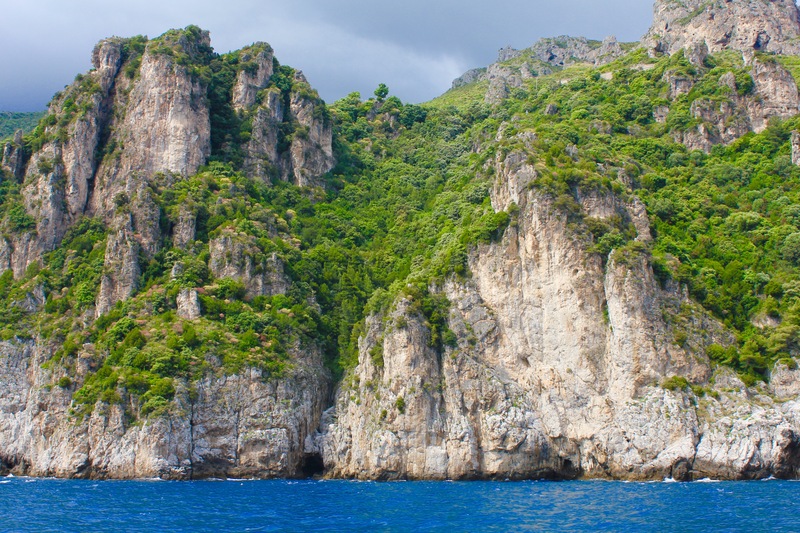 Another popular destination from Naples is to the Island of Capri, which is about a 30 minute ferry ride away. 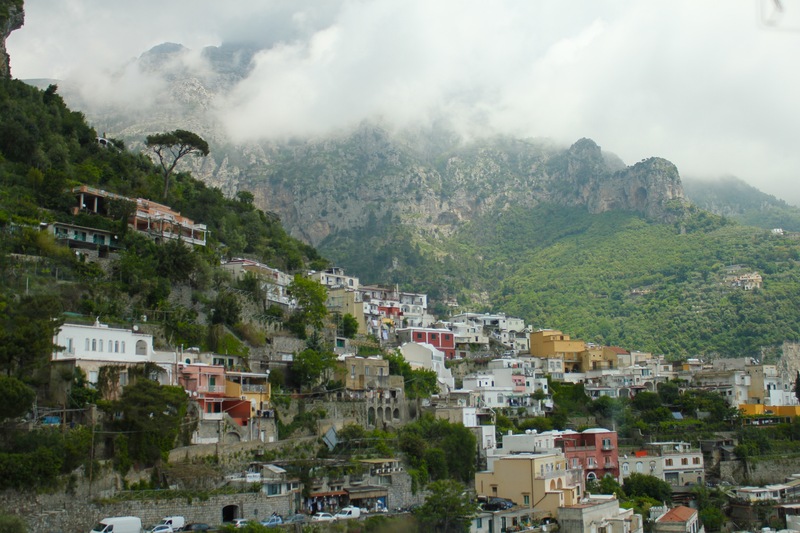 Capri has wonderful shopping and sights to see in the town located by the sea, and offers a breathtaking view from its mountain summit, which can be reached by cable car. 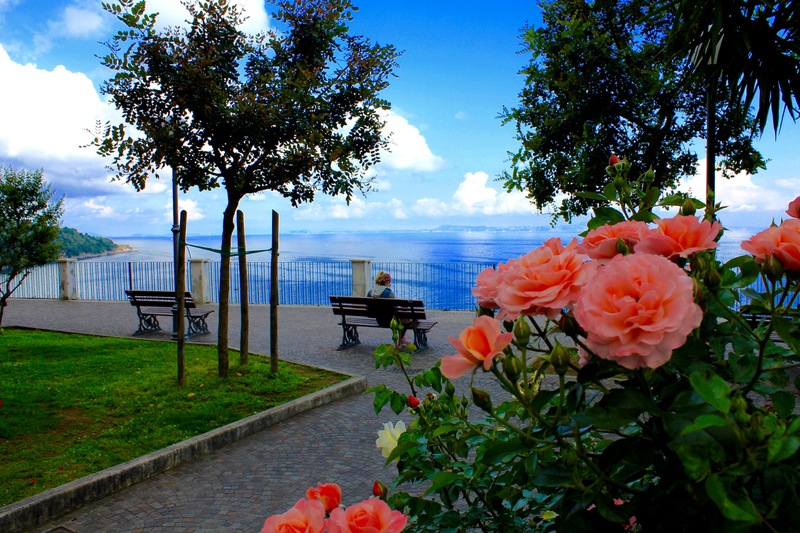 Now, all of the places mentioned above, are things that we did NOT do on this visit to Naples. 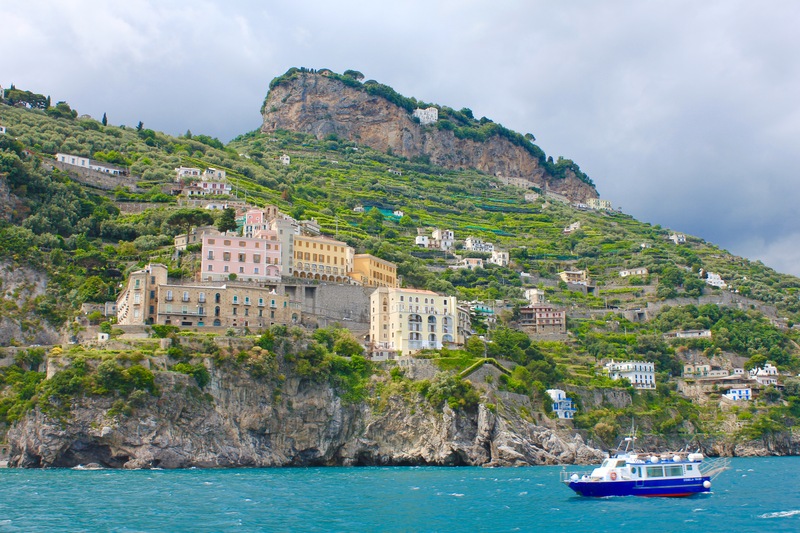 This was our 2nd time visiting the area, and instead, we took a day-long trip from Naples to the town of Sorrento before driving along the Amalfi Coast, ending in a boat tour of the Amalfi Coastline itself before driving back to Naples. One word to sum up this trip: WOW!! 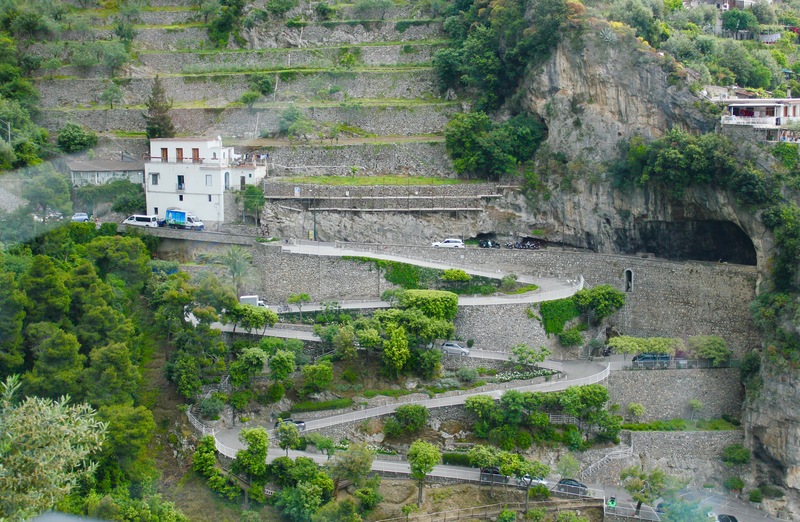 The 6 to 8 lane highways leading out of Naples begin to turn into single lane roads that start to wind its way through the mountains. 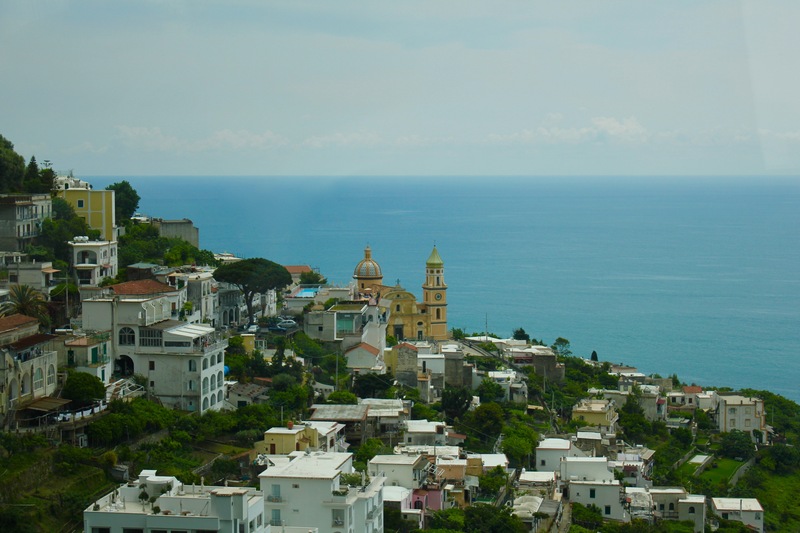 The drive offers some very nice vistas along the way to Sorrento. 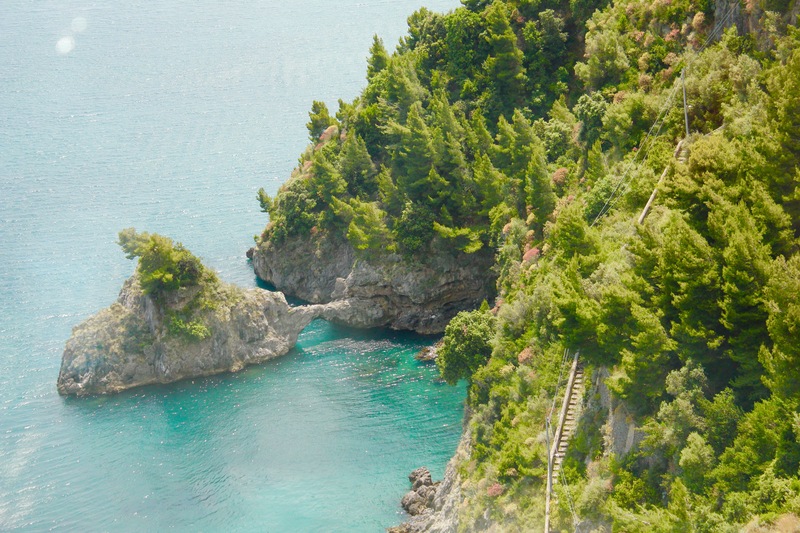 This part of Italy is beautiful! And, as you can imagine, a few famous people call this area home. 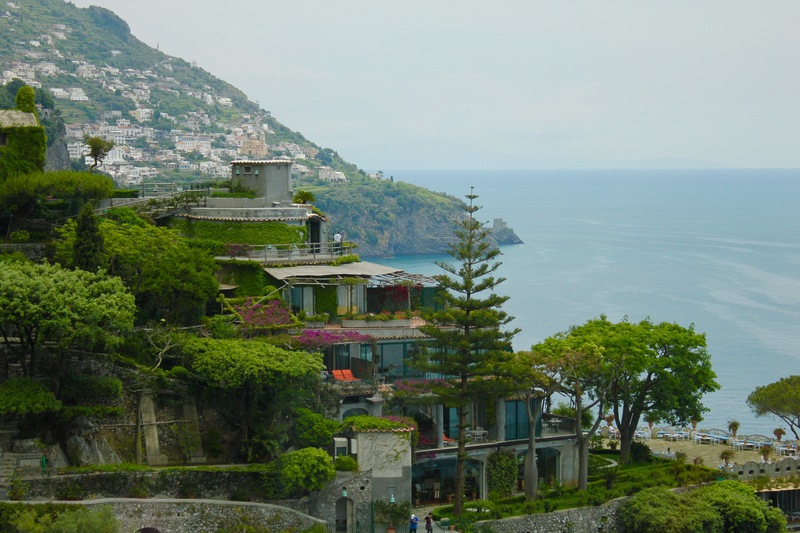 This home is that of the Italian actress Sophia Loren….not too shabby! 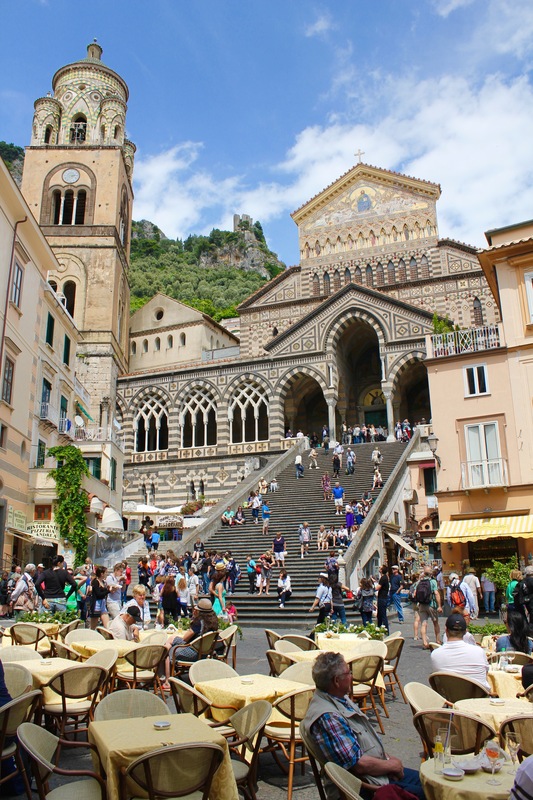 From its stunning vistas, to the shopping within Sorrento, to magnificently placed villages pressed into valleys along the Mediterranean Sea. 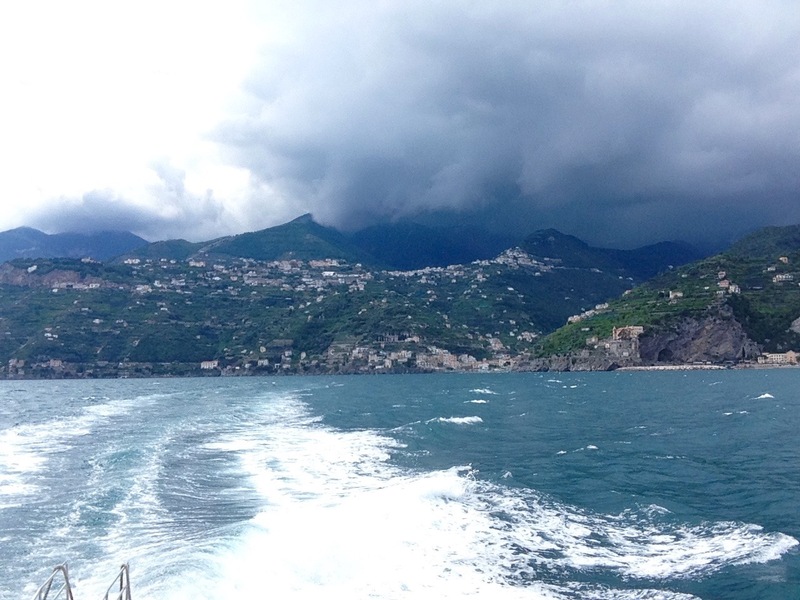 The Amalfi Coast is simply stunning to see, and we were fortunate to view this beauty by land and sea. The beauty I would say is on par with our visit to the Cinque Terre north of Rome, near Livornio/Florence from last year (here is the link to our blog post about the CInque Terre). 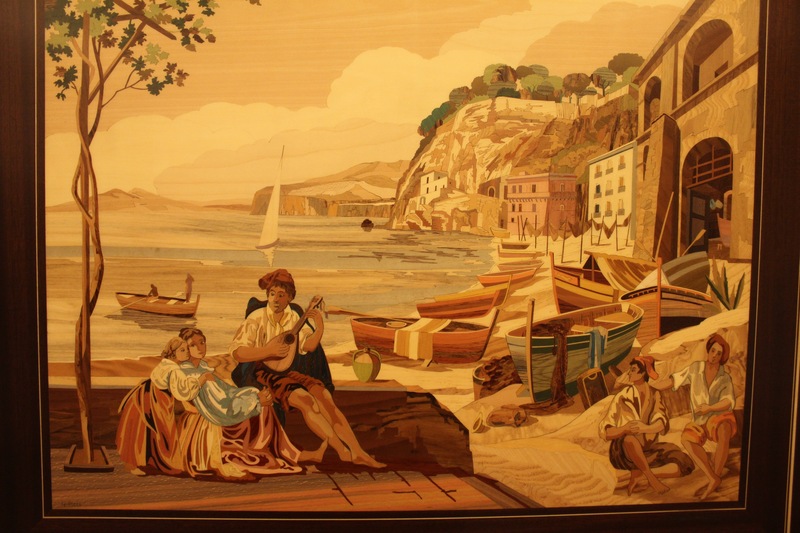 Once we reached Sorrento, we witnessed a demonstration of wood-carved artwork, and then were on our own to explore Sorrento for two hours before meeting for lunch. 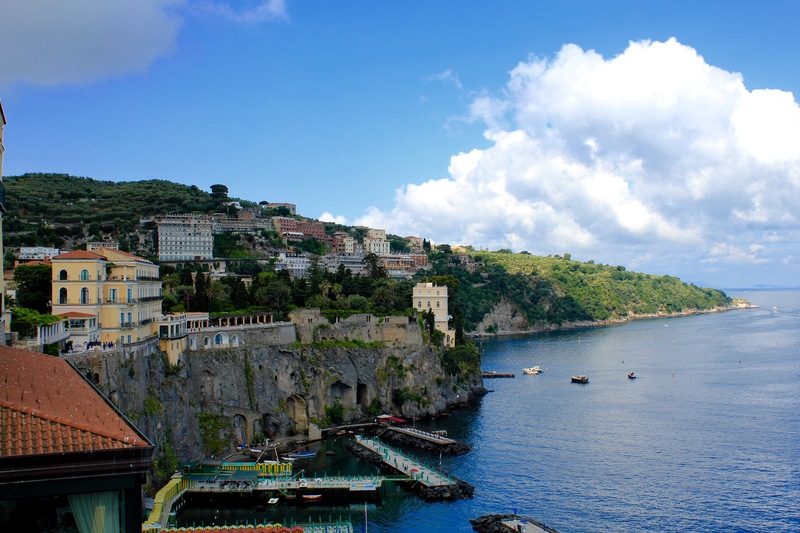 Amanda chose to shop, while I explored the scenery of Sorrento. 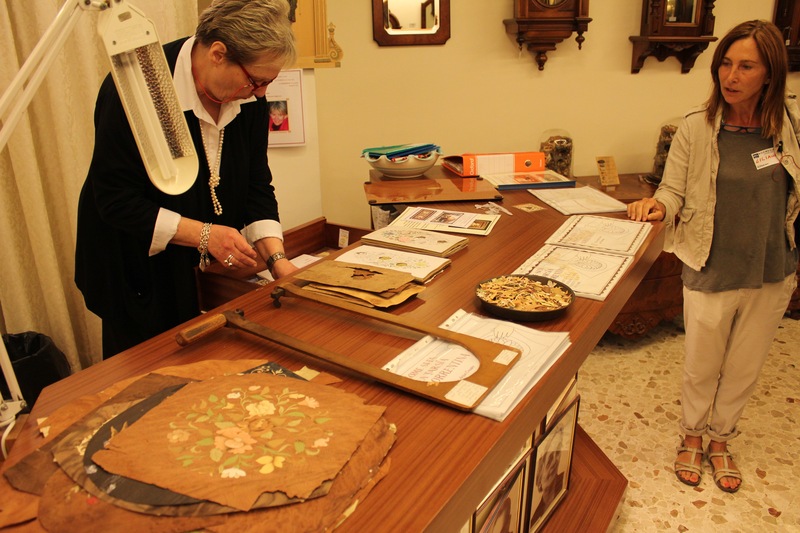 We had a demonstration of how inlaid wood art is made, which is very popular in this part of Italy. Here the artisan trims very small pieces of thin, colored wood to build the picture. Then, the pieces are assembled to form the picture being made…. …this is an example of a finished piece. This is not paint, but various shapes of dyed, thin wood that have been cut out and placed together to form the picture. After it is completed, it is then covered with a glaze to protect it and to give it a shine. The finished pieces are either wall art or is inlaid into the tops of tables or small boxes, etc. It is very fine craftsmanship. To give an idea of cost…this is a wall art piece maybe a 12 inches by 16 inches and it was on sale for $900. 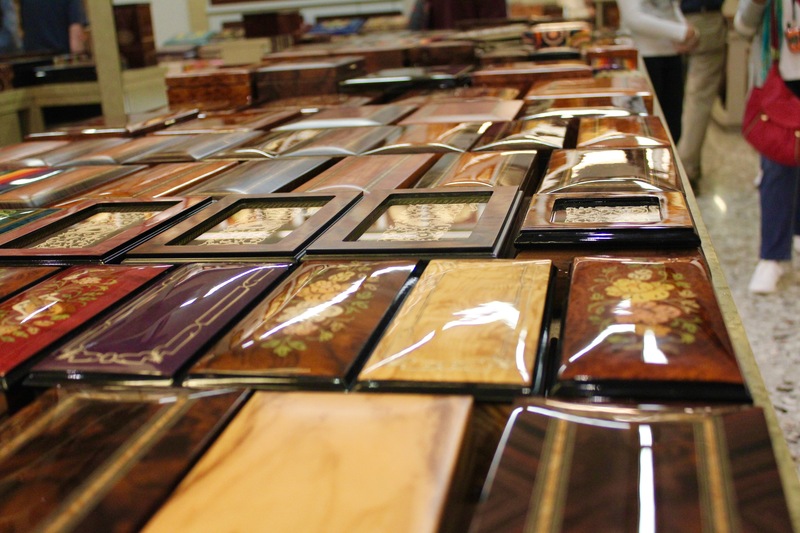 Examples of small wooden boxes with the inlaid art on top. I love just getting lost in small villages….. 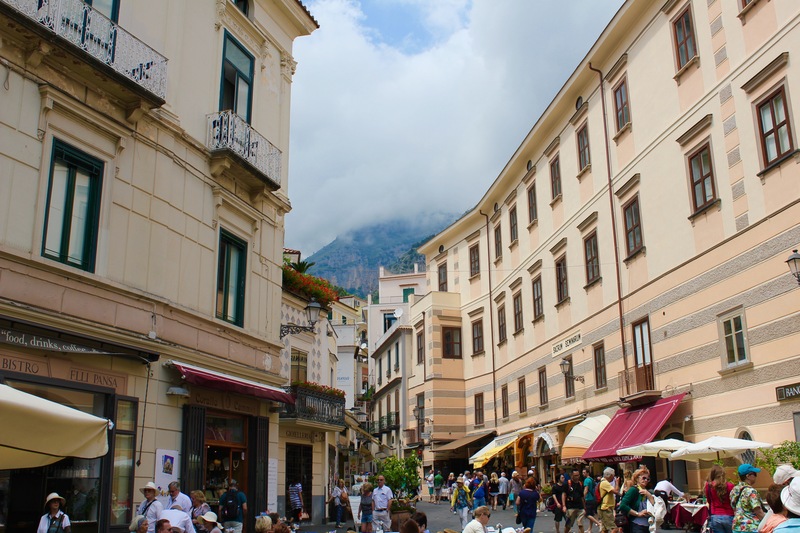 Walking the streets of Sorrento. 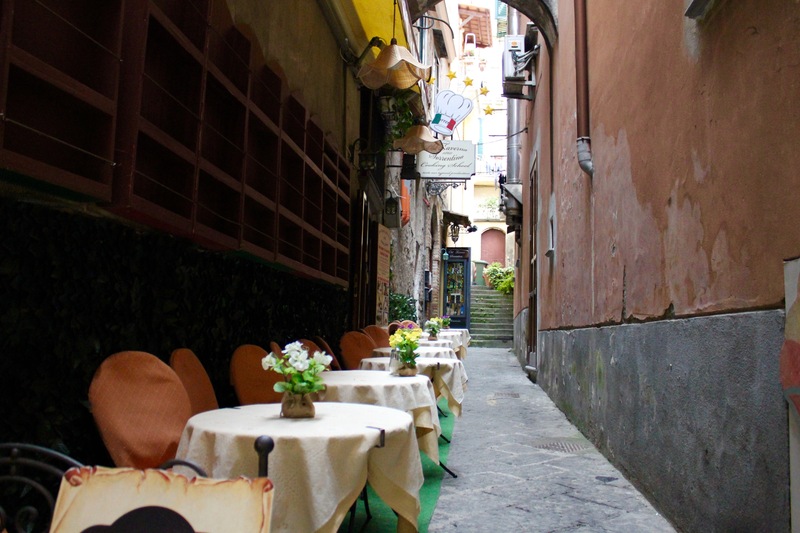 I love getting lost in small alleyways off the tourist paths….and, I find charming setups like this outdoor cafe waiting for the mid-day crowd. 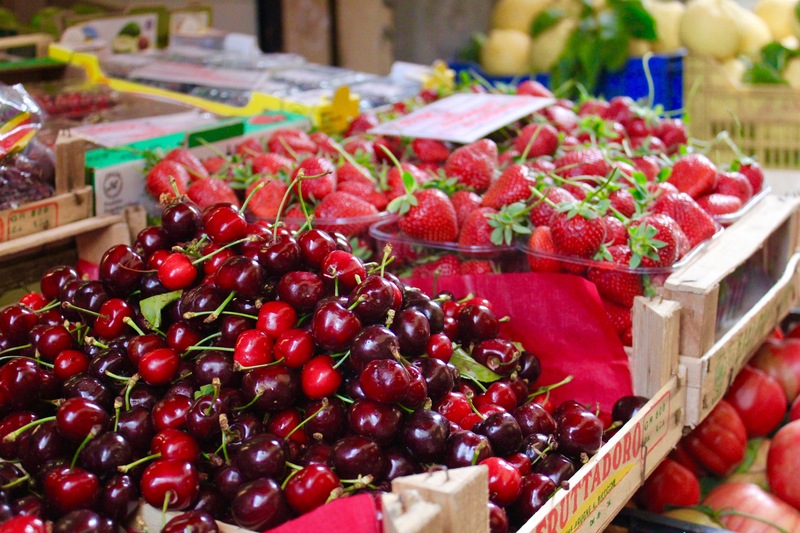 Cherry and Strawberry season in southern Italy in mid May. 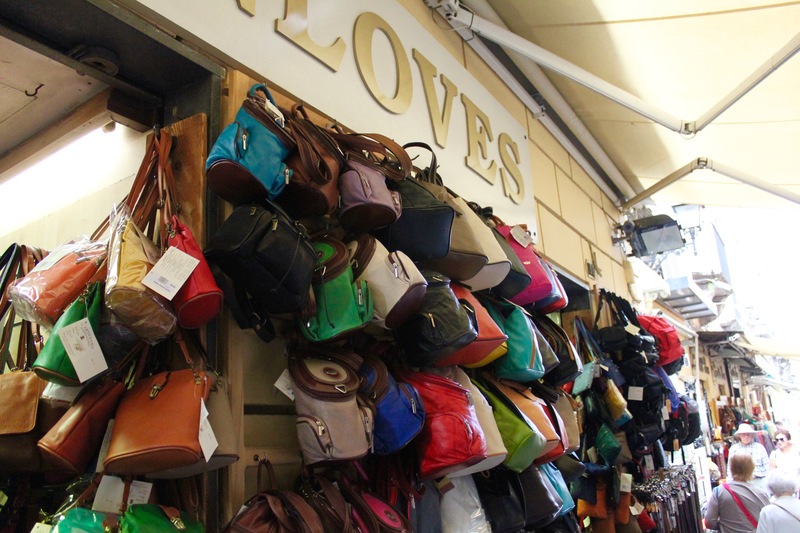 Another common item in Italy to buy is anything made from leather, as leather production of finished goods (bags, jackets, gloves, etc) is big here. Local oranges probably picked straight from the trees outside. 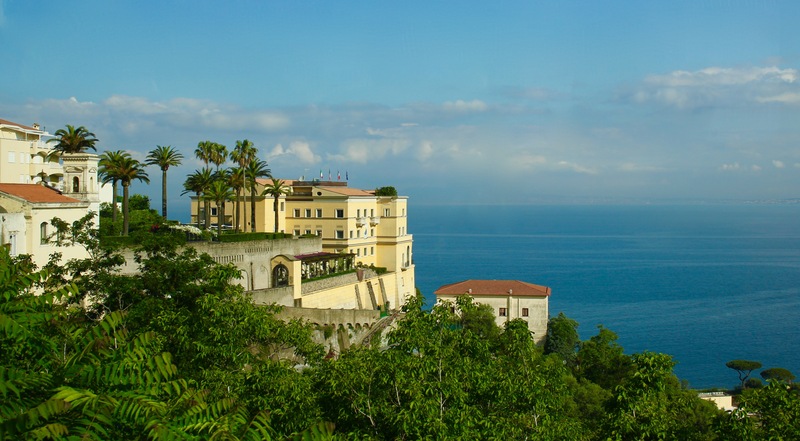 …and this was the payoff for me getting lost in Sorrento…this view of the Mediterranean Sea. Sometimes when you are in a place, you do feel like you are literally looking into a painting. 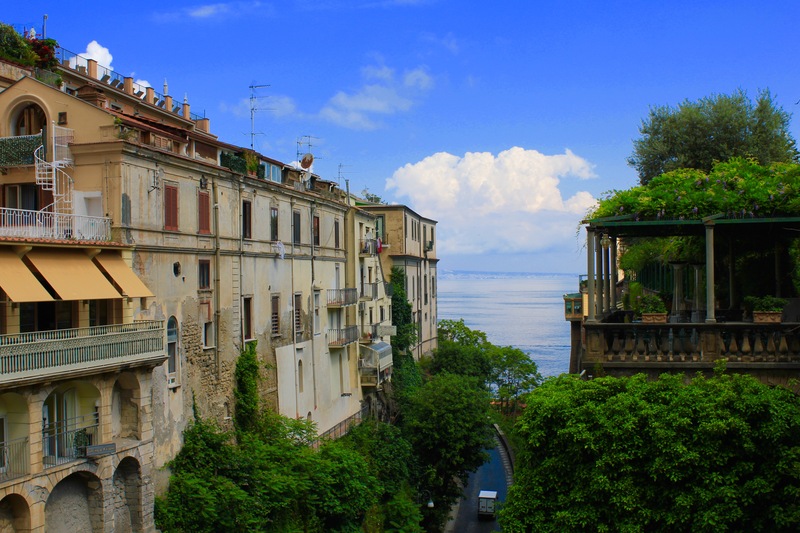 The view from Sorrento to the Mediterranean is one of those places. This is a picture of a painting I took, and it is very realistic to the real view! Walking back into the center part of Sorrento to meet up with Amanda for lunch, and even the overpass to the street below is a nice view. 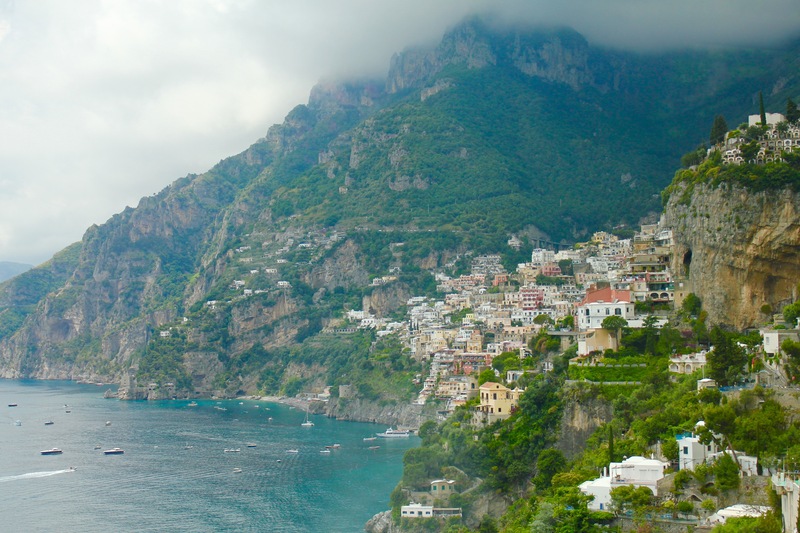 After lunch, our group then left Sorrento for a drive across the rugged countryside to the sea to the area known as the Amalfi Coast. 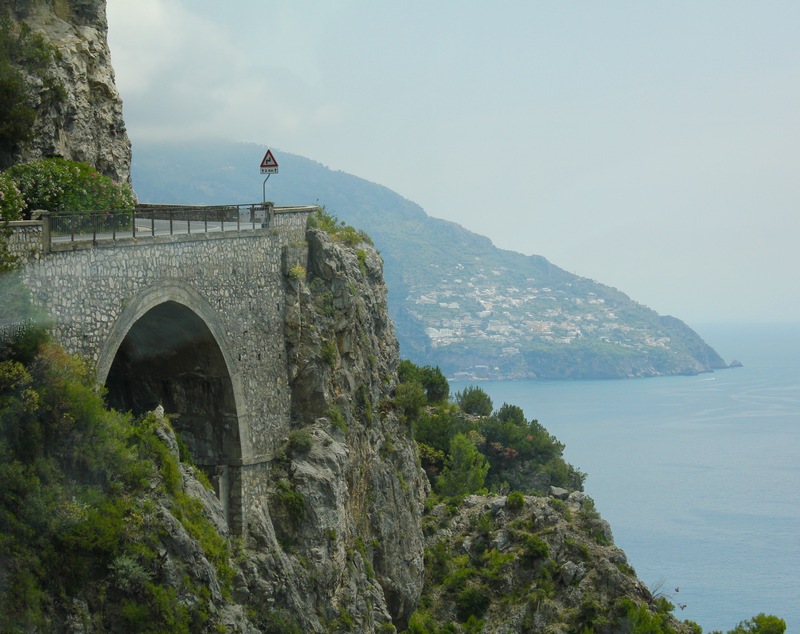 The highway along the shore is basically a narrow two-lane road that twists and turns its way along the sea to the village of Amalfi. Along the way, we were treated to some truly breathtaking scenery, and harrowing moments around blind curves in the road. 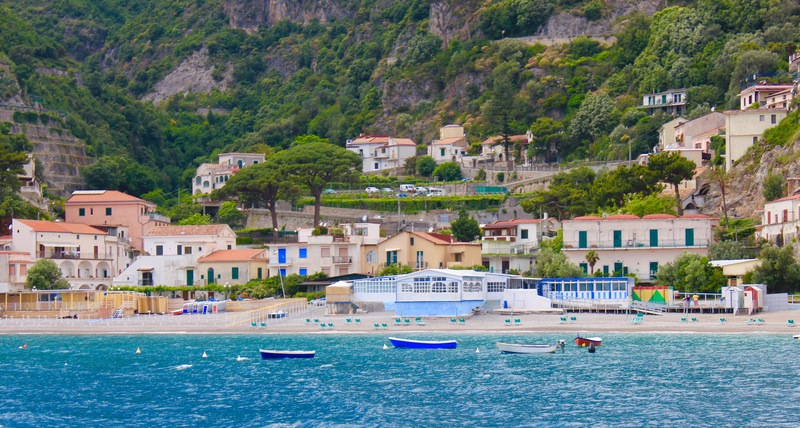 After lunch in Sorrento, we headed out on the drive along the coast to the seaside village of Amalfi. The drive takes about an hour, mainly because the roads are very winding. Also, around the curves only one car or bus at a time can pass. Around every curve, there was another small village. 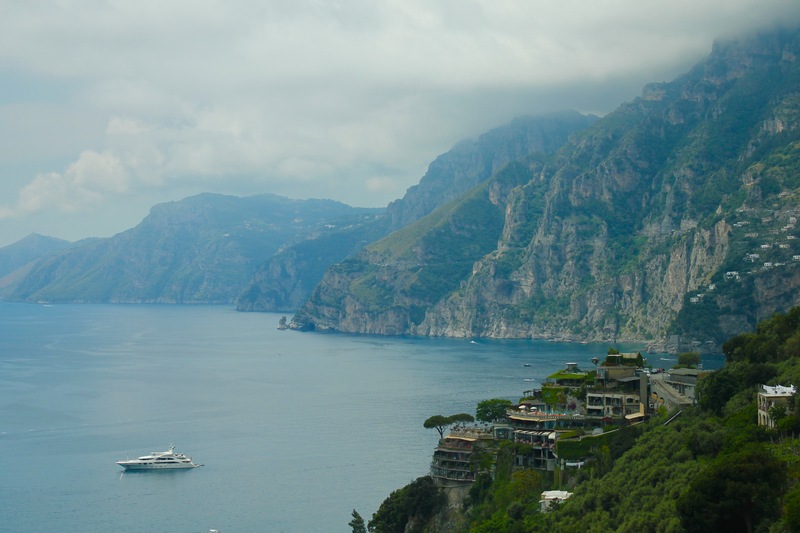 We finally reached the village of Amalfi and had about an hour to explore the village before meeting our boat for the next leg of our adventure. We walked the village streets, saw a cathedral wedged into a mountainside, and ate some delicious gelato before leaving. 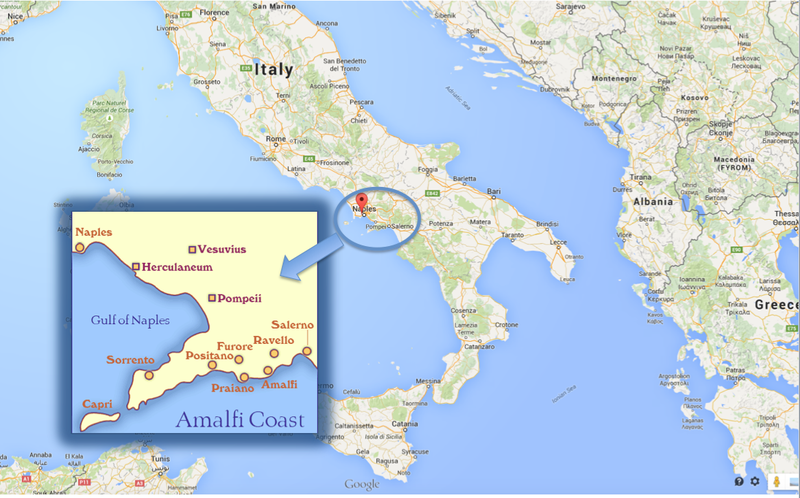 Our drive ended in the village of Amalfi, a seaside resort community. Here we did a little touring around before boarding our boat for our next trip along the coast. 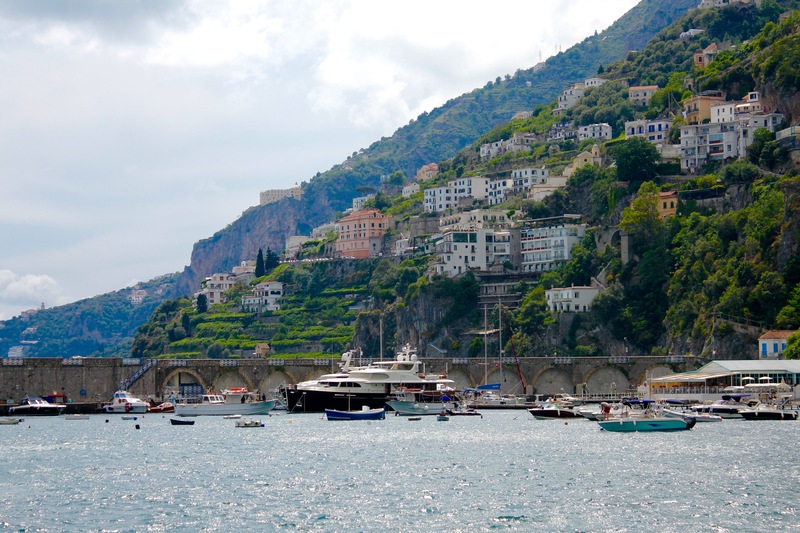 After spending an hour in the village of Amalfi, it was time to board our boat for the 45 minute cruise along the coastline to the city of Salerno. 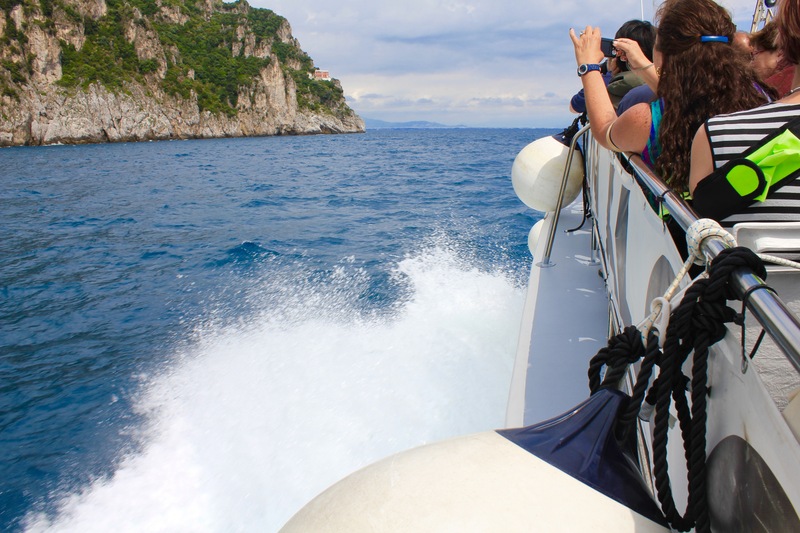 TRAVEL TIP: If you like taking pictures, know the direction that the boat will travel, and sit on the top on the side facing the coastline!! 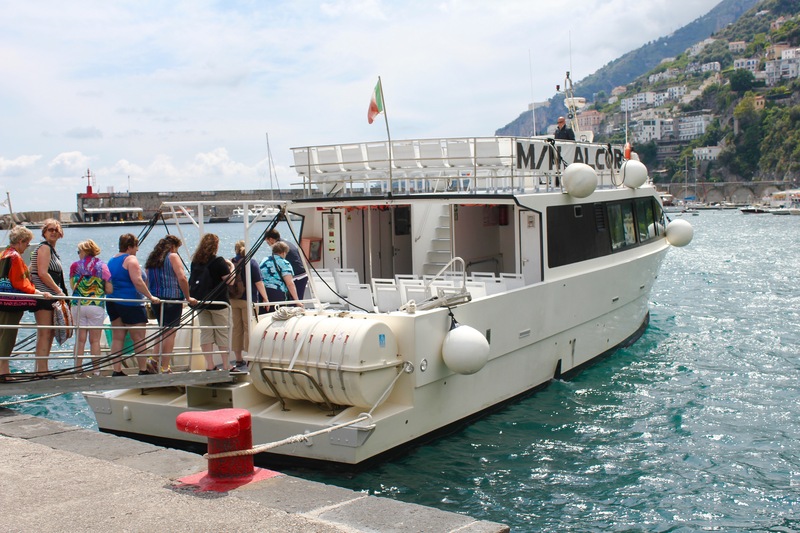 For this trip from Amalfi to Salerno, the best seats on the port (left) side of the boat (and in my opinion in the back so you can take pictures from behind the boat). Also, even on a warm day, make sure to bring a light sweater or jacket, as it can get windy out on the water. 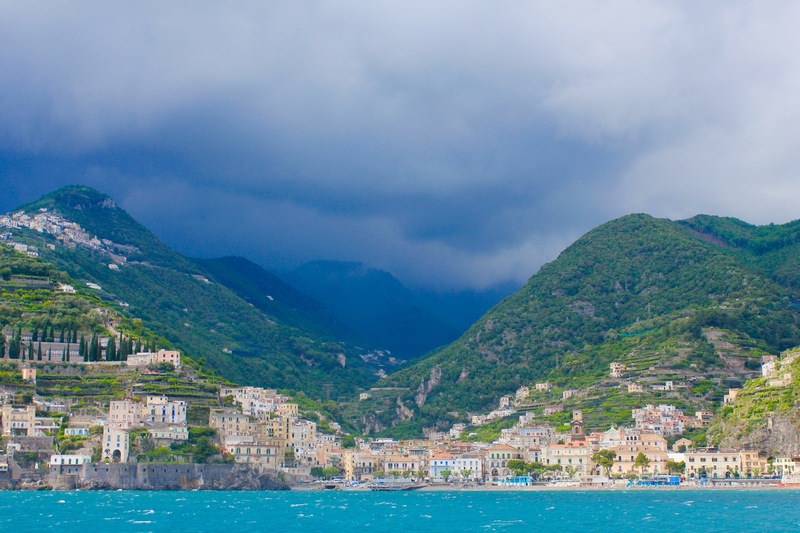 After a wonderful cruise along the Amalfi Coast, we had reached the end in the city of Salerno. 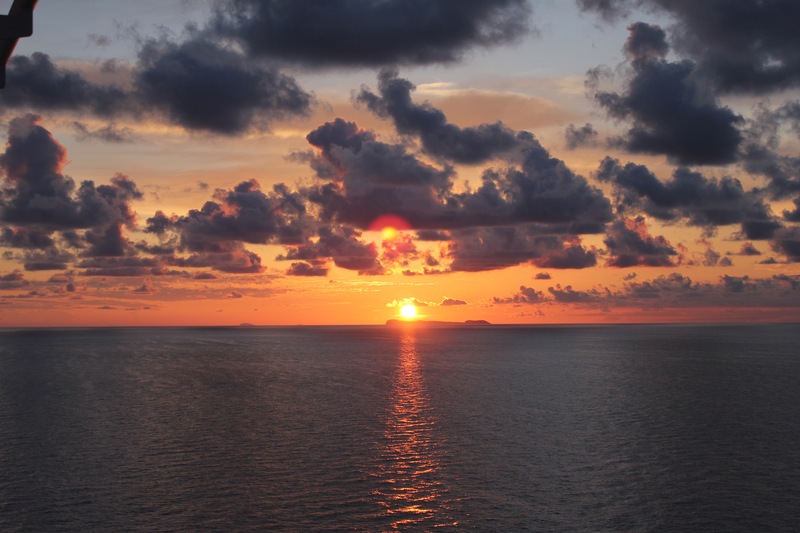 From here, we had an hour drive back to Naples to board our ship. 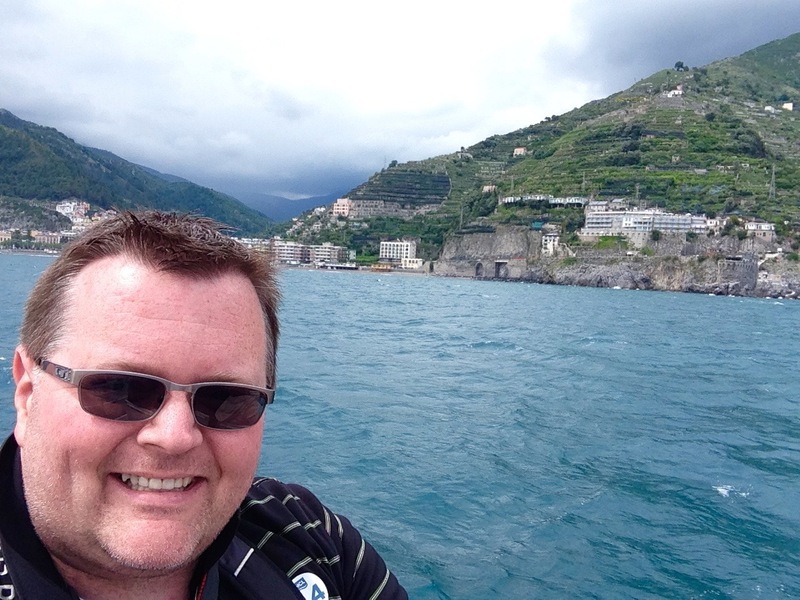 While this was a long day, the excursion was well worth it, as we saw Sorrento and the Amalfi Coast by land and by sea!! Thanks for the comment about the pictures. Yes, it is truly difficult to take a bad picture there! Enjoy your trip in November. 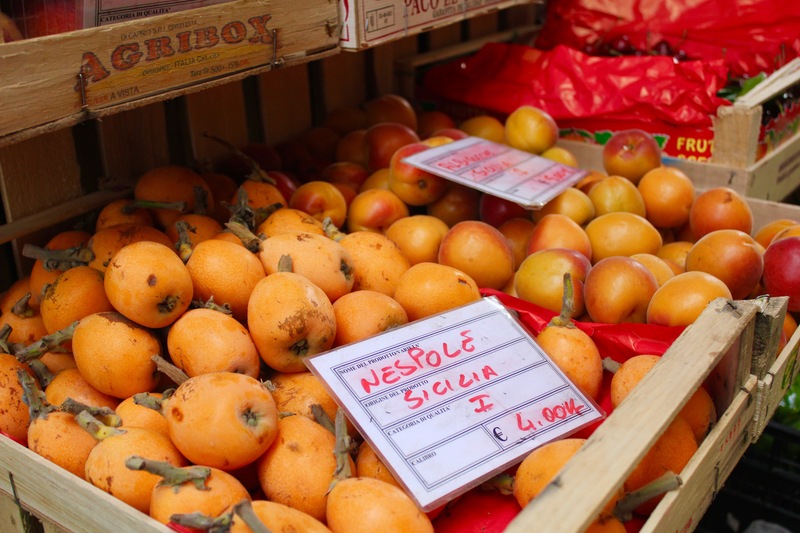 And, thank you for the correction on the Loquats (to be honest, I have never heard of those before…and, now I have something to try the next time I am in the Region).